How and when do you become a leader? The short answer is that if you have started a business then congratulations my friend, you are NOW a leader! If you've only been in business for a few days or a week or so, you might think, "I'm not a leader, how am I going to help my team as I'm still learning myself!"? The thing is, you become a leader from DAY ONE. If you bring somebody into your business in the first few days, presumably you've tried a few products and you've watched at least a couple, (I would hope), of the videos by your upline in your business. So you do know more than somebody who hasn't yet started. You can help them; be honest with them if you're fairly new yourself but make it your business to get stuck in and learn as much as you can so you can teach them everything you learn. You only need to be one small step ahead of someone to be a leader. To get a head start I would definitely recommend every day to read at least one chapter, preferably, a couple of chapters or more if you've got the time of a good book, a good marketing book, or whatever your business is about. Personal development is important and mindset because whatever business you're in, your mindset is going to determine your success, so you had better grow as a person if you wish to grow your business. I would also recommend that you learn something every day in your particular business area. If you're already working full-time in your business, you've got more time to learn. If you've got another job and/or a family, then I realise your time might be extremely limited. However, still aim to spend a minimum of 30 minutes each day on your education. Watch a video, a training and make notes. Then teach it back to your team. If you haven't already got a team, don't worry, you are gaining all this knowledge and it will help you when you have. With just 30 minutes of learning every day, think just how much knowledge you'll gain over a week, a month, three months. Be a sponge, soak up and absorb every bit of knowledge you can. Start thinking of yourself as a leader right from day one. The sooner you do this and the more you do this, then the more successful you're going to be! 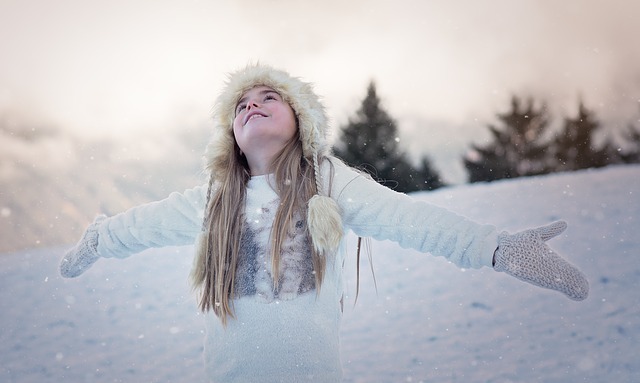 7 Ways To A Happier, More Successful Life? Hey, Carole Wildman here. I'm a Certified High Performance Coach, and also a Certified Canfield Trainer in the Succes principles. I'd like to ask you a question, if I may? Are you feeling truly happy with where you are in your life right now? Or do you feel that there's more out there for you and that you could be achieving so much more? Maybe you're searching for your life purpose and you don't quite know what it is or how to get it? Maybe you want advancement in your career and your job or maybe you want a total change and you're not quite sure what? You might want to get healthy and fit but you lack motivation. You might want better relationships. Maybe you want to make a lot of money and you don't know how? Maybe you just want to feel happier than you do right now? I've felt all of these things at various points in my life and I didn't like feeling like that. When I was first introduced to high performance, I didn't know what that meant. It turns out that High Performance can be described as living a life of full engagement, joy, courage and confidence, and it also means achieving more than you would normally achieve. Not only over a short term but over the long term and consistently. I've written a short ebook called 'The Seven Life Arenas You Must Master For a Happy, Successful and Fulfilled Life'. If you download this book and learn how to apply these areas which I talk about it's quite possible it could change your life. Well, if you're not clear about exactly what you want from life (and you may not be), then how on earth can you expect to get it? To say that you want a new job, more money, bigger house is vague. It's got to be specific. What is your dream job? What does it look like? How much money do you want and in what scale of time? What exactly does your dream house look like and what is the location? You must know exactly what it is that you want. In my ebook, I use the analogy of a dartboard as representing and holding your life's goals within. The bullseye in the center of the dartboard represents your biggest goal. The surrounding areas outside the bullseye represent other goals you want to achieve along the way. Providing you know what these goals are, you've got something to aim for. You can aim for the bullseye or you can aim for the other targets. Over time with practice, you're going start hitting those targets. However, if you don't know what you want, if you're not specific or if you've absolutely no idea what it is you want to achieve, what hope have you got of achieving it? In that scenario, there is no dartboard. You're throwing your darts against a blank wall and wherever they're hitting is what you're getting. "why am I not getting more money," or "why am I not getting what I want out of life?" It's because you haven't set specific goals. You're not clear on what it is you want out of life. Clearly, clarity is critical, and in High Performance coaching we dig deeply into this area. The second area is focus. Once you know exactly what it is that you want, and you're throwing your darts and aiming, you've got to focus on a regular basis. If you think about it, if you're just going practice your darts once a week or once a month, how long is it going to take you to hit those targets? You may never hit them. It's certainly going to take a very, very long time. If you're practicing daily, you're focusing. You're not being distracted by everything else in your life such as watching the television, social media, surfing the net. There are so many distractions that we have in our lives, aren't there? 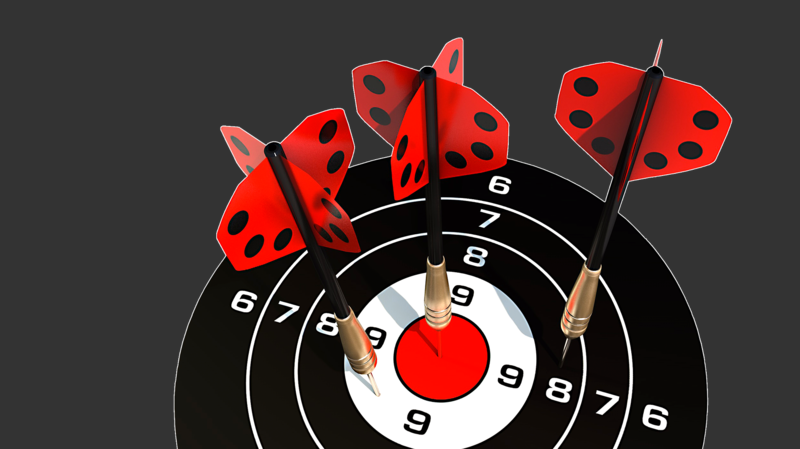 So if you're not focusing daily on targeting those goals and doing something to move forward to achieve them, (throwing your darts as in my analogy of the dartboard), then you're simply not going to achieve them. So, clarity and focus clearly are extremely important. So these are the first two of the seven life arenas in my ebook and I know if you download this book, read it and learn to master these areas, your life will change without recognition. You can download it below. Just click on the button. It's very short, only 18 pages so won't take you very long to read, yet the messages within are plain, simple, to the point and powerful. If you would like to reach out to me afterwards then please do. I would love to hear from you. I'm on social media or you can visit my blog here anytime you like. If you'd like coaching, I'm here as a Certified High Performance Coach but if you just want the free ebook, that's absolutely fine. Go and download it now and I absolutely know that it can help you if you allow it to. Is It Better To be Optimistic Or Pessimistic? Are you sick of all the hype and everything that you hear about being positive? Positive thinking, the power of positive thinking, is it all just mumbo jumbo? Well, if you're a pessimist and you think it is, it's good news for you because studies apparently have found, (and this is according to Tony Robbins), that pessimists are apparently a lot more realistic! Tony Robbins is, of course, a great inspirational, motivational coach and life coach and in the video I'm talking about he explains how pessimists are more likely to be right when you give them certain tests. When pessimists are asked how things in general in their life are going right now they're very likely to get it right. Optimists, on the other hand, are much more likely to overestimate how well they're doing and think they're actually doing better than they are. The bad news, however, is that pessimists are actually not very likely to achieve goals and dreams that they otherwise might because they see them as being highly unachievable. Because they're right about how things are going for them at the moment, they're not likely to even try and achieve certain goals because they think, "Well, obviously, that's not possible. I'm not even going to attempt it because I know I'm going to fail," and that's exactly what happens. Optimists, on the other hand, because they believe they're actually doing better than they are, keep going, and if things don't go too well for them, they remain optimistic. They think, "Well, I'm doing okay though," and they just keep plugging at it, and they keep going. They keep being optimistic, and they keep showing up day after day. They're a lot more likely to actually achieve their goals and dreams and so it is good news, in the end, for optimists. But pessimists, yeah, you're definitely more realistic, and you know where you are at the moment and you're right. Are you consistent in most things, in your life, in your business, and in your life in general? If not, are you wondering why you're not achieving the success you so desire? Consistency really IS the key to success. Whether you're trying to lose weight, build your business, strengthen a relationship; whatever it is, consistency is the key. If you can learn just this one thing in life, then it is probably one of THE most important things you'll ever learn. This may sound a little dramatic but it's actually true, for it's the little things that you do, day after day after day that shape your life, your business, everything. I've been reading a book recently called 'The Slight Edge', by Jeff Olson and I highly recommend it. 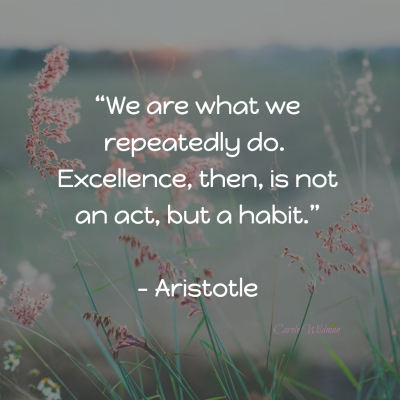 He talks about the power of doing consistent things, day after day, and how much it can change your life by producing a compound effect, and adding momentum to your life, and to your business. If you hit the snooze button in the morning when the alarm goes off when really you intended to jump out of bed and do some work then you're making a choice. If you decide to eat that piece of cake, when you're really trying to lose weight, then that, is again a choice. If you keep doing this day after day, and wondering why your life isn't changing, then you have your answer. It's in these small, seemingly insignificant everyday choices that our success is determined, (or lack of success). As Jeff explains in his book, there really is no such thing as an overnight success. It may appear as though some people have become successful overnight but they actually haven't. What appears to have been a success overnight, is actually the culmination of many, many months and maybe many, many years of small consistent efforts every single day that have accumulated and accumulated until suddenly the scales tip. It's like trying to lose weight in a week. Yes, it may be possible to lose 10 pounds in a week, but that's not really a success. The success is if you've still kept it off a year, two years, five years, 10 years later. If you lose 10 pounds in one week and then you go back to making the wrong choices again day after day, the weight is simply going to come back on. So your success is actually a one week success and then back to failure. So, the importance of the little everyday decisions that we make can impact and do impact on the whole of our lives. I do highly recommend this book by the way. It's called, 'The Slight Edge', by Jeff Olson. Absolutely brilliant, easy to read, makes total sense and it could just change your life. Are You Preparing To Fail? This may seem a strange question because obviously none of us are going to prepare to fail on purpose. However, by not preparing ourselves, there's a saying isn't there? "fail to prepare, prepare to fail". If we have big dreams and goals and we're not preparing ourselves to achieve them, then we are preparing to fail. Whatever your dreams and goals are, whether they're small or large, you need to break them down into bite-size chunks and you also must know what you need to do every step of the way in order to eventually achieve that goal. If it's a five year one, you need to break it down firstly into years, and then into months. Then you need to break it down into weeks and ultimately into days. We all want to move forward quickly yet this is a mistake a lot of people make as they soon run out of steam and ultimately motivation. In preparing your day by knowing exactly what you're going to do to take steps towards achieving your goal, you know you're moving forward. If, however you fail to plan, then a week will go by before you know where you are. A month may go by. Then you're going to be feeling a bit down and thinking to yourself, "I'm not getting anywhere, I'm not moving towards that goal". Have three must-do things, things you must absolutely get done each day and then write some other things down that you also intend to do. Hopefully you'll get some of those done as well, but if you don't then at least you will do those three things. If you don't do this every week, then please before you go to bed at night, write down the three things you must do the next day. If your time's limited because you've got another job, maybe you've got a family to take care of and other responsibilities and your time is obviously a lot more constricted if you're not full-time yet in your business, then this is even more important. Being organized is critical and in knowing exactly what it is that you're doing. You'll feel better about yourself by doing this because you will know that you are taking those forward steps. Even if it's just slowly. You are slowly moving towards achieving those goals. Should You Be Investing In Yourself? You can listen to the mp3 audio here if you prefer. The quick answer to this question is yes, you most certainly should be investing in yourself and I'll tell you why. If you're in any sort of business, whether you're just starting out or whether you're trying to get it off the ground, if you have the mindset that you're not going to spend any money and you're going do it all on the cheap, and you just don't want to invest in yourself, then I'm sorry to tell you but you're not going to be successful. Whatever business, whatever niche you're in, you need to be learning constantly. You can invest in books for a good starting point as this doesn't need to cost you a lot of money. Personal development books are good whatever niche you're in, and if you're in internet marketing, I know some great books I can recommend for you. You probably need to be getting courses, certain ones, but, choose wisely, as you can't buy everything yet you do need to learn. If you want to be successful, then follow the people who are successful and learn from them, and it will give you a shortcut to success. It will also save you a lot of trial and error. Of course, there are a ton of courses out there and some are better than others. I can recommend some good ones for you as well if you wish. If you ask any six, seven, or eight figure earner how they became successful, they will tell you they've invested multiple thousands of dollars or pounds in their success and in working on themselves. The reason why they invest is that they know how important it is to keep learning, to keep improving themselves. The most successful will also tell you that have invested in coaching. Even though you might think, well they don't need coaching now they're so successful, most will tell you that they still do invest in coaching from coaches who they know can take them to exactly where they want to be! Personal one on one coaching is absolutely fantastic and is possibly the shortest cut to success. Of course personal coaching can be extremely expensive especially if you're going straight to a top earner for private coaching. Again, there are ways to shortcut this as well. I'm happy to tell you from my experience what I have found and the resources which have been the best for me. So click on the link below and it will take you to a page where I'll tell you exactly what I recommend in books, in courses, and in coaching.